Longstone Tyres will be there with their extensive range of vintage tyres for all your classic and vintage cars ranging from Austin Sevens to Ferraris and everything in between. Whether you race, trial, sprint, rally or just pootle in your car, come to see us for advice about what is available to you. A selection of the most popular tyres will be on show for you to peruse at your leisure or if you know what you want you can contact us to pre-order, ensuring your tyres will be there on the day for fitting or collection. 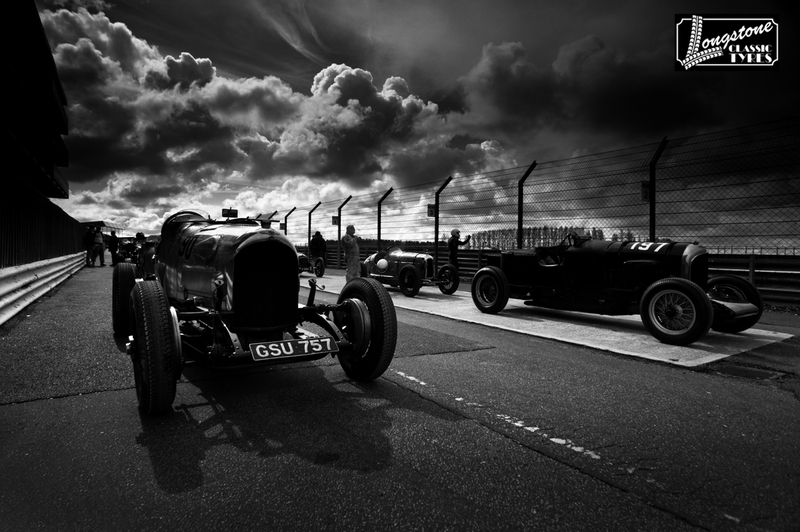 If you've never been to Silverstone VSCC meeting before then now's your chance to be part of this great event. See the VSCC website for details. We’d love to tell you more about all the wonderful events that the Vintage Sports-Car Club organises and give you access to the whole of our Vintage world.